As I was waiting in line at a local fast food restaurant, a young man about 20 or so decided to cut in front of the line and act like he didn’t do anything wrong. He didn’t bother to look behind him at all and notice the cold stares he was receiving from the people behind him. Some of the people started to grumble and let him know that he needs to go to the end of the line and wait his turn. He kept looking at the menu not paying attention to the people who were calling him out. I was wondering why he thought he could get away with his cutting in line. I waited patiently as the line started to move as people had their orders taken. The woman he cut in front of was a senior citizen, and as he steps up to give his order, she cut in front of this young man and gave him a lecture about manners and respect. She raised her voice so everyone in Wendy’s could hear her. Then she told him to go back to the end of the line. He left the restaurant in a huff and angry. My thoughts were “Bravo” for you. Good job on her part. Life offers all kinds of individuals who prey on non-confrontational people. They bank on someone not challenging them with their being difficult or confrontational. Most folks will murmur under their breath and hope not to make a scene in front of others if they challenge a difficult person. I have been guilty of holding back what I wanted to say to a difficult person. I’m sure many of you have as well. It’s hard to deal with difficult people if you have no taste for conflict. So the question begs, how should we deal with difficult people in our lives? Do we confront them and let the chips fall where they may? Do we step back and say nothing and hope it doesn’t happen again? We all have degrees of what we can tolerate with difficult people. Most of us will say nothing and keep to ourselves. We avoid conflict at all costs. I know some folks who look for correcting someone’s bad behavior if it involves them or someone they know, and it often gets them into trouble. My older brother and I were driving through the drive-through at a Burger King in Florida. He began to place his order with the attendant when she interrupted my brother and asked what size fries he wanted. He said the medium size and then she proceeded to ask him how much would that cost because he could see the prices on the menu board? He said she should know the price and then she unloaded on him on how stupid he was for not being able to read the menu. My brother asked to talk to her manager. The cashier refused to get her manager to speak to my brother. He drove up to the window where this woman was, and he asked again for the manager. She refused and said to my brothers face that he was stupid and couldn’t read. The manager overheard them arguing and came to the drive up window and asked what the problem was? My brother told her the story and the order taker listened and then verbally attacked my brother. Obviously, this was starting to get out of hand, so I asked my brother to leave and go. The manager was trying to solve an issue with her problem co-worker and getting nowhere with her. I think it’s wise to pick and choose your battles and not die on the hill for each and every encounter. Next week we will continue with dealing with difficult people in our lives. 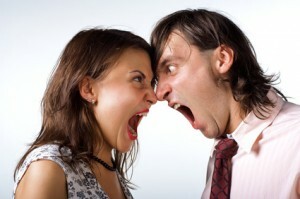 Anger is a real problem many of us face with loved ones and close friends in our lives. Dr. Mike will share some of his tips to help you win the battle with difficult people. Are you afraid to confront difficult people in your life? Do you have family members who are difficult to get along with? Do you fear family gatherings because of past run-ins with siblings, parents? Would you like a plan that can help you face difficult people in your life? If you answered yes to any of these questions, then contact Dr. Mike for personal help and planning your next steps at 303.880.9878. Dr. Michael Brooks is the founder of Applicable Counseling and Coaching Services. It is affordable, accessible, anonymous and available by appointment from the privacy of your home. To avoid travel time and the comfort of home, many clients prefer to meet with Dr. Mike over the phone or via Skype. The convenience of this type of Counseling/Coaching is the most effective means of Life Coaching for those who live outside of the Denver. Give Dr. Mike a call! You’ll be glad you did! This entry was posted in I want to save my marriage, Life in general, relationships and tagged bad behavior, conflict, confront, difficult people, dr mike relationship counselor and coach, issues. Bookmark the permalink.